Hiking is one of the favourite activities of the students all over the world. America is no exception to it. If you are student residing in the USA and are planning to go for some very cool international hikes then this blog is for you. 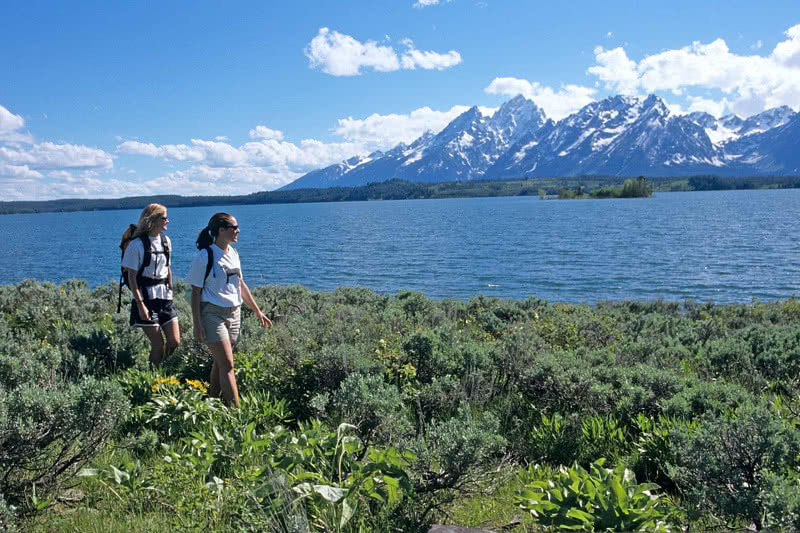 We’ll take a look at some of the best international hiking destinations for the American students. We’ll also tell you what makes these places great and obviously their finest trails. The highest mountain range outside the Himalayas and Asia lies in the South America. Chile and Argentina are the main countries housing this mountain range. It is Mt. Aconcagua, best international hiking destination in South America. Chile is known for the Andes, the Patagonia Desert, and the high peaks and the great glaciers. The Torres del Paine National Park in Chile has been ranked as the fifth most beautiful place in the world by the National Geographic. One can easily walk through the giant glaciers and huge lakes amidst the towering high granite-like towers. Trekking to the peak of the Aconcagua is the most awesome trek one can go to. Many amateur and professional hikers take this trek. Interestingly, this peak is also known as the highest trekking peak of the world. Apart from the Mt. Aconcagua, Chile is also home to the driest place on the earth – the Atacama Desert. Also, you can explore a large number of national parks in this country numbering to around 36. The Lake District area and the temperate rainforests are other special attractions. So you will have a lot of places to go in Chile. If you are into the hiking activities, you must know that the Norway is the best international hiking destination in the Europe and in the world. There is no other place like Norway. Also, the hiking rules in this country are quite different. You are allowed to camp anywhere. You only need to be around 500ft away from a building. Also everywhere you will find that the hiking routes and the skiing routes are well marked. You’ll witness some of the wildest landscapes here along with the fjords, glaciers and the snow capped peaks. The highest mountain of Scandinavia – Galdhopiggen is also a special attraction. This small country is entirely engulfed by the Great Himalayan Range. The list of best international hiking destination is incomplete without talking of Nepal. Fifty percent of the world’s highest peaks belong to this mountain range. Every part of this country is designed in a manner that is convenient for the hikers. There is also the Upper Mustang Trek, which follows the ancient trading route between the Tibet and China. This trek is the best way to witness a cross-sectional view of the three physiographical divisions of Nepal – mountains, hills, and the terai plains. The rhodenderon forests and the youthful rivers are the special attractions in Nepal. Summer is officially here for college students and with the warm weather comes all types of summer activities like events, concerts, and live sport. Tickets for these events aren’t always affordable on a college student’s budget, but with a few ticks you can save big on live event tickets of all types. Summer event tickets for concerts or even sporting events can get pricey really fast, but locating cheap tickets for both isn’t as hard you’d think. You essentially have two different methods: purchase them right when they go on sale from the box office and the slightly riskier but usually cheaper trick of waiting to buy them second-hand from a trusted secondary ticket website like Tourlly.com. Let’s start with how to get tickets cheap right when they go on sale. If you don’t want to run the risk on waiting out cheap tickets for fear a concert might sell out you can still usually pick up tickets for a reasonable price if you know where to go. In a lot of cases you can skip service fees imposed by the likes of Ticketmaster by heading directly to the venue to purchase them. Most large venues and stadiums have a ticketing office where you can purchase tickets directly. This isn’t always the case, but if it’s an option for you it’s a great way to avoid the ridiculous service charges that come when you order tickets online. It also works when tickets are supposedly sold out. Oftentimes stadiums and venues will release extra tickets the day of the show or game and all you need to do is show up at the box office when they open.